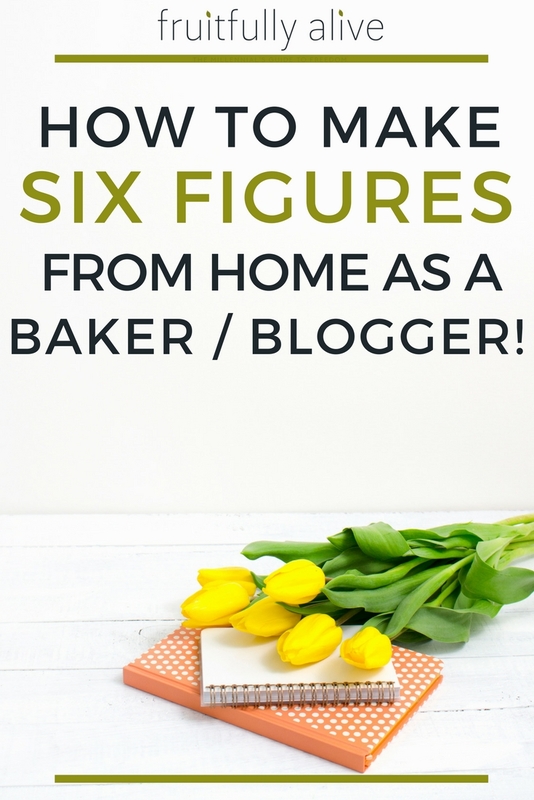 How To Make Six Figures From Home as a Baker / Blogger! I’m adding a new feature to the self-employment series! This interview is of Rose from Rose Bakes; she blogs and runs a cake business from home! My name is Rose Atwater and I live in a tiny country town in rural Mississippi. I am wife to Richy (almost 22 years) and we have 6 kids, ages 7-20. I have a Bachelor of Science degree in Math, but I’ve always been a stay-at-home mommy. 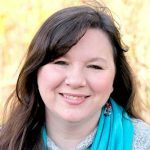 Currently, I homeschool my kids, run an at-home cake business and have a full-time blog. You have a physical business from home and an online business; can you tell us about both and how they complement each other? Sure! You’ll probably hear me refer to them separately over and over again because I still see them that way most of the time. Ironically, I started a blog and my cake business at about the same time in 2009. But they were not connected to each other at all. My original blog was a frugal (couponing-type) blog. That same year, my baby brother asked me to make his wedding cake. I initially said no. It’s a long story (written out on my blog) but after he wouldn’t give up on me doing it, I finally agreed. Because I’d never done anything other than a handful of pitiful sheet cakes for my kids, I started feverishly studying, practicing and researching. I also volunteered to make cakes for people so I could practice – that’s how my cake business was born. I started sharing pictures of the cakes I was doing for practice and orders started rolling in – I call it my “accidental cake business”. In the meantime, for the next 3 years, I continued to plug along on my frugal blog, but I’d also share pictures of my cakes and sometimes tutorial and explanations for how I made them (on the blog). When researching for my brother’s cake, I struggled to find good info and instructions online so I wanted to share what I was learning to help others. No one was more surprised than me that my cake posts were the most popular thing I wrote about on my coupon blog. After almost 3 years, I decided to close down my frugal blog and start a cake blog. It was instantly more popular than my frugal blog had ever been and I’ve never looked back. How do they complement each other? Honestly, my blog is now earning a full-time income, so I could easily quit the real-life business. However, I’d hate making cakes just for show and just to blog about them, so I keep doing my real-life business (part-time) because that’s the source of a lot of my content. Why and how did you decide to pursue this career? Well, I’ve loved cakes and cake decorating for as long as I can remember. As a child and even young adult, when asked what my dream job would be, I always said cake decorator/baker. I even spent my chore money on cake decorating magazines as a teen and asked for supplies on my Christmas lists as a kid. But I didn’t pursue it. Then my brother’s wedding happened and without even meaning to, I had started a cake business. As for blogging, I got hooked on frugal blogs when they first became popular. Before that, my husband was in the Air Force when we got married and money was tight so I was always looking for ways to work and supplement our income, but I really wanted to be home with our kids. I had done private tutoring (using my math degree), mystery shopping, a little bit of catering, and other random jobs. 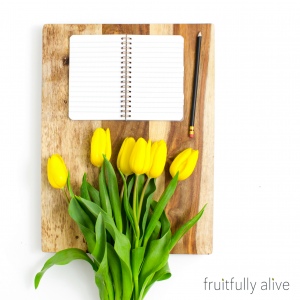 When I learned about blogging and that I could earn money from it, I thought… “I can do that! I can write and blog and share coupon deals.” At the time I was an “extreme couponer” so it was easy to write about. So I did. Unfortunately, everybody under the sun had the same idea and frugal blogs were a dime a dozen. The frugal blog never really made any money to speak of. But when I switched to cake blogging 3 years later, it was a brand-new niche and the cake decorating shows were just starting to be popular on television and RoseBakes.com grew like crazy! That’s when my real-life business and my online business connected and became my passion. How did you learn the skills necessary to be a professional baker and a professional blogger? I’m 100% self-taught in both careers. I literally searched the internet and reached out to professional cake decorators to ask for the best recipes for tiered cakes. I googled how to stack cakes, how to make fondant, and every other skill I needed – I learned as I grew. Eventually a few years in, online cake classes became a thing and I have taken some, but overall my learning has been as I go. For blogging, the same applies. I started following other bloggers and imitating what was working for them. I’d research which affiliate companies they were using and sign up with them. I’ve mostly hired help to do the design and technical side for me, but I’ve learned enough to know what I want and be able to find the best people to help me accomplish it. 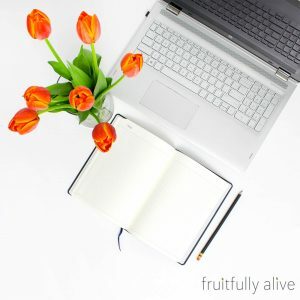 Again, as the years have gone by, there are now hundreds of “how to” blogging courses out there along with more free info than anyone could ever consume. I’ve invested in several paid courses, from cheap to very expensive. I’ve gleaned some good info from a few of them, but I’ve never found one that I thought was just “the one” to have a successful blog. I’d say my best investment by far is being a member of Food Blogger Pro (which is great for non-food bloggers too) and the best free information has come from Amy Lynn Andrews and ProBlogger. How much do you make a month? How much comes from blogging and how much comes from baking? Do you work part time or full time? Although legally Rose Bakes LLC includes my real-life and online business, I’ve always kept the records separate since they didn’t really start at the same time. I work part-time on both real-life baking and blogging. I generally only make 4-6 cakes per month (I used to make 8-10 per weekend in the first couple of years) and I blog maybe 20 hours per week. In 2017 I grossed just over $120K. Almost $94K from blogging – which averaged out to $7,800 per month and $26K from real-life business or around $2,100 per month. What are your expenses (business-related expenses)? For the blog, my regular expenses include hosting and domain registration, some paid apps and plugins, 3 part-time VA’s, an accountant, and other misc. things like photography equipment, banking fees, etc. The expenses average around $1,500 per month. For my real-life cake business, the expenses are proportionally a lot more and the profit margin is much lower. For real-life cake business, I have to buy ingredients and supplies, equipment, then there’s mileage and gas for shopping/deliveries, plus my increased electricity/gas bills. And there’s a lot more time involved in shopping, baking, decorating, etc. The cake expenses averaged $830 per month in 2017 and that didn’t account for our utilities or my time. What are your duties? Can you describe a day in your life? My duties? Wow… I feel like I’m a “jack of all trades”. For real-life, I am the only contact for cake consultations, taking orders, keeping my schedule, etc. I hire my (homeschooled) kids to do some of the tasks once a cake is on the books. My daughter makes all of my cake batters and one of my sons makes all of my frosting, cookie dough, etc. Also, my husband makes my fondant. I do the baking and 90% of the decorating, then I do the photography, deliveries, etc. For RoseBakes.com, I do 99% of the writing, editing, and photography. I manage my own email and write most of my email newsletters. I’m not a terribly structured or scheduled blogger, so my blogging “editorial calendar” is kind of a joke. If I have sponsored work that’s due, I take that very seriously, but the rest of my writing is not very planned out. In my ideal world, I’d do 3 posts per week – one cake, one money-maker and one wild card (a recipe, a list post, a tutorial, etc.). In the real world, I average 2-3 posts per week and they’re all over the map. I have VAs who manage my social media accounts, help with posts occasionally, sometimes make graphics for me and in general, are just great friends who support my business in random ways that I ask. A day in my life … I usually wake up around 9 am. First thing is eating breakfast and checking email. Then I spend the next several hours homeschooling the kids. I might also check email, respond to social media, etc. while they do certain tasks. In the afternoons I do laundry and some housework, then usually get busy working on supper (or cakes if it’s a cake week; then my husband does supper). 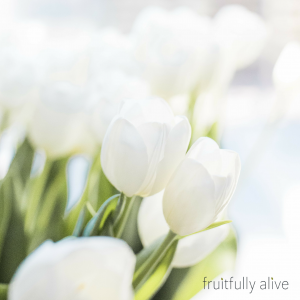 I unwind by having family time (watching TV, games, outside) with the family for an hour or two, then I usually blog late at night after everyone is in bed and it’s quiet. What is your least favorite part/hardest part of being a baker and blogger? Least favorite part of real-life cake business is cleaning up. I absolutely hate doing dishes and cleaning my kitchen! Least favorite part of blogging – nothing comes to mind. I’d say the hardest part is keeping up with how fast technology, social media trends change. There’s always something new to learn, change, update, edit. I feel like I could work 24/7 and still never be “done”. I envy that my husband can leave work at 5 and have a finished day of work – I feel like my work is never finished. Favorite part of cakes is the client reactions – it’s priceless to see a bride who loves her wedding cake or a child’s face light up when they see their cake!! Favorite part of blogging is helping others. I love to get comments that they’ve found the perfect recipe that works for them or when I solve a problem for a reader. It’s so fulfilling to be able to help other cake decorators learn and grow and improve their businesses. What traits do you feel are necessary to be a good, successful baker and blogger? Which ones are taught and which ones are inherent? Passion, commitment, self-discipline, and a willingness to learn. You have to be passionate about what you do – no matter what it is. If you don’t love it, you’ll quit and burn out. I absolutely love cakes and I love helping others. So those things come easily to me. And loving what I do keeps me going when the cake falls apart or I get nasty comments on the blog. I’m a pretty laid back person in general, but for both careers, I have to take what I do seriously and be organized enough to keep my commitments – whether it’s a commitment to a client for a cake or a commitment to a brand for a sponsored post. I mentioned earlier that I’m not a hard-core scheduler but am a chronic list-maker and that’s important. And with both of my jobs, I have to always be learning. Blogging and technology change daily. Cake trends change daily. I don’t always know how to do things but I have to be willing to work at learning how to change and grow as my industry changes so I can remain relevant. Those things don’t always come naturally to me, but my love and commitment to my job drive me to keep going even when it’s hard. Did I answer that question well? Be willing to work long and hard before you see big wins! Also, find successful people that you admire and watch what they do. I’m not saying copy them (I absolutely do not follow all of the blogging rules) – but learn from those who’ve already done the hard work. Blogging is not for everyone. It’s almost never an overnight money-making career and you have to be certain you want to pursue it; willing to hang in there until you start seeing the fruits of your labor (which might be awhile). I started RoseBakes.com on January 1, 2012, and I made $1081 that year. Five years later I made almost $94,000 in 2017. It was immediately 10x more successful than my frugal blog but it still took years to earn a part-time or full-time income. As for cake decorating – gosh, it’s a hard industry right now. There are a dozen hobby cake decorators on every corner and most of them will be under-pricing you. To truly make a good income and pursue it as a career (vs hobby), you have to be willing to step out there, charge what you’re worth and be excellent at what you do. I would never want to discourage someone wanting to chase a dream, but you need to be prepared – it’s going to be hard work to build a client base and truly make a living. These days I seriously encourage cake decorators to start a blog or make videos of their work to create another stream of income. It’s a way to work once and get paid twice (get paid by the client, then get paid by having it on your blog). I’ve already said it, but find your passion and pursue it. You will never find a job you love more than one than you’re passionate about. I would never have imagined myself a cake blogger (writing was never fun for me in school), but I love cakes and cake decorating and writing about them is so much fun for me. I never get tired of actually sharing what I love. Rose Atwater is the founder and cake decorator behind Rose Bakes. She lives in rural, southern Mississippi. Rose is baker, cake decorator, wife to Richy and homeschooling mommy to 6 wonderful kiddos! Her work has been featured in American Cake Decorating Magazine, Cakes Decor, Pretty Witty Cakes Magazine, Huffington Post and Cake Geek Magazine. Rose also blogs at RoseAtwater.com and CakeBlogging.com. Rose I just love you and how open and transparent you are with your business earnings as well as your craft. You are a true gem to the blogging community and I pray God’s ultimate blessings for your life. Thanks for sharing.